The writing had been on the wall for some time, but the outcome of the Italian election of March 4 shocked almost everyone by the extent to which the status quo was upended. The governing center-left Partito Democratico (PD, Democratic Party) was humiliated: its share of the vote fell nearly 7% compared to the previous general election in 2013 to just under 19%; its secretary, Matteo Renzi, would soon resign his post. The other big loser was Silvio Berlusconi, the dominant figure on the center-right for a generation. His party, Forza Italia (FI, Go Italy!) plunged from 21.6% to 14% and was displaced within the coalition by the increasingly xenophobic, often racist Lega (The League, formerly the Lega Nord or Northern League), which more than quadrupled its share of the vote since 2013, from 4.1% to 17.4%. Over the same period the Movimento Cinque Stelle (M5S, Five Star Movement) had drawn 25.6% of the vote in its maiden appearance in 2013. But back then, the electoral law in force gave the center-left an artificial majority, barely averting parliamentary paralysis. 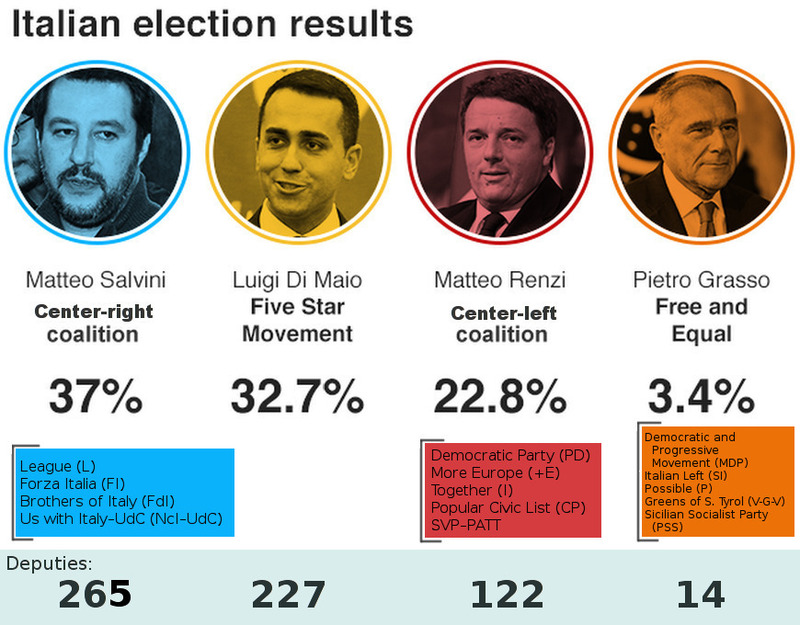 In 2018, despite a new law designed to marginalize it, the M5S and its telegenic new 31-year-old standard-bearer, Luigi Di Maio, raked in 32.7% of the vote, making it Italy’s largest party by far. It is hard to overstate the importance of these developments. In the early 1990s external events (the end of the Soviet Union and the acceleration of European integration) and internal ones (corruption scandals and the self-dissolution of the Italian Communist Party, PCI) combined to bring down the party system that had dominated Italian politics since the end of World War II. Instead of one bloc, the Christian Democrats (Democrazia Cristiana, DC) and their much smaller allies, permanently in power, while a Communist-led left was permanently relegated to the opposition, it was now possible to imagine left and right governments alternating in power, which the logic of the cold war had blocked for nearly half a century. The party system that emerged from the wreckage promised further change, and was popularly dubbed the Second Republic.1 As corruption scandals undermined the dominant parties of the First Republic, Berlusconi burst on the political scene. His FI party sprang up around his extensive media empire, its leadership composed of his own cronies plus refugees and opportunists from the ruins of the First Republic. He gave cover to, and helped accelerate, the moderation of the former neo-fascist party Movimento Sociale Italiano (MSI, Italian Social Movement), which became a partner in an unlikely coalition that also included the Northern League, at the time a secessionist, anti-southern movement. Despite rough patches, Berlusconi managed to hold together quite disparate interests successfully enough to form four governments, including the longest-lived one in the history of the republic. He was less successful in his effort to create a single party out of a mixed bag of interests and traditions, but since the turn of the century, self-interest kept these forces together in a sometimes unstable alliance. On the center-left, the bulk of the former PCI leadership became the core of an alliance that ran from parts of the far left to former left-wing Christian Democrats as well as centrists repelled by Berlusconi’s coalition. Here, too, efforts to turn a heterogeneous alliance into something more permanent were not just unsuccessful, but marked by constant infighting, including a number of splits. These public squabbles did little to attract new adherents and certainly did nothing to help the historic left’s already eroding cultural and organizational legacy. By 2007, when the Democratic Party of the Left (the initial successor to the bulk of the PCI) dropped the ‘Left’ from its name little remained of what had once been the largest communist party in the western world. Those remnants now exist in uneasy alliance with what remains of the left wing of the Christian Democrats. And groups to the left of the Democrats have had extremely limited success, due partly to electoral systems that punish small parties, but also to their own fragmentation and rather tired image. Thus, by the end of the first decade of the twenty-first century, the Italian party system consisted almost entirely of parties that would have been unrecognizable twenty years earlier. Yet the goal of producing a bipolar system where governments of the (center-) right and (center-) left could alternate in power without undue trauma had seemingly been achieved, and in this sense the so-called Second Republic appeared consolidated. But this was all called into question in 2013, and five years later it was definitively blown apart. If it took the First Republic nearly half a century to collapse, the Second has been dispensed with in half that time as a sometimes artificially-sustained bipolar equilibrium has given way to a tripolar system that is anything but stable. And for all the differences that ended each, the epitaph for both could read ‘Died of Popular Disgust with Politics as Usual’. This brief summary raises obvious questions: How to explain the dynamics of the Italian situation? And to what extent is Italy’s experience similar to that of other capitalist countries? Because the left was dominated by the Communists during the First Republic, Italy never had a major social democratic party. After the PCI’s fraught, drawn-out dissolution in 1991, none of its successors was even called ‘socialist’ or ‘social democratic’. This reflected distinctively Italian considerations,2 but also an ambitious vision: to produce a reborn, post-cold war left that could finally transcend old labels and traditions. (Moreover, by the early 1990s social democracy, battered by a decade of neoliberalism, was hardly in robust health.) As things turned out, rejecting labels did nothing to help the party avoid the fate of the mainstream left elsewhere. It could claim a victory of sorts when Massimo D’Alema, a former PCI leader who had been instrumental in dissolving the party and trying to get it to follow a Third Way path, became Prime Minister in 1998, the first former Communist to head the government of a NATO country. But efforts to jettison a Communist past while having nothing solid to fall back on, combined with the peculiarities of the Italian political system, did nothing to spare what remained of the main body of the PCI from the broader crisis of the left. To take a telling example: Desperate to legitimize itself, the Democratic Party of the Left (later the Left Democrats, now the Democratic Party) and its allies became Italy’s biggest cheerleaders for European integration. Until, that is, the crisis of 2008. By the time the Democrats started taking a more critical stance vis-à-vis the EU’s unrelenting austerity policies, they had been outflanked on both the left and the right by moderate to extreme Euro-skeptics making their own complaints look timid at best. The post-communist identity crisis also played itself out in dramatic fashion regarding the type of party that was supposed to help generate a revitalized left. There was sharp internal debate within this once formidably organized party over whether the old ways of doing politics had been rendered obsolete, and needed to give way to a ‘lighter’ or more ‘liquid’ party structure. The debate was partly decided by the judgment of history: maintaining robust structures and flanking organizations requires considerable human and financial input, and both were in decreasing supply by the end of the century. But as the very name ‘Democratic Party’ shows, the contest was also settled by conscious design. Reference to the American case is transparent, and many parallels can be drawn with the leadership style of Tony Blair and New Labour, including increased emphasis on leaders’ personalities, greater attention to the media (and less attention to what remained of the mass membership), and a focus on style over substance. Moreover, the new party was in a paradoxical situation with respect to its erstwhile allies on the center-left, especially those who came from non-communist, Catholic and laical traditions. If an ally was to obtain a safe seat in an election campaign (or be placed high on a proportional list, depending on the electoral system of the moment), its success would depend on the numerous former Communist militants in the ‘red zones’ of central Italy who could be counted on to turn out the vote. Yet the very existence of these resources reinforced suspicions that the PCI’s heirs harbored hegemonic designs over whatever new political formation might be in the offing. Historical subjects can only construct something out of the raw material at hand, in the setting in which they find themselves. Even under favorable circumstances such as a rising progressive tide, it would have been a daunting task to reshape the Italian left into a solid, unified party or even a broad federation of some sort. And the 1990s represented a conjuncture that was anything but favorable for the left, in Italy or elsewhere. Whatever misreadings of the times and outright blunders, and they were many, can be attributed to the mainstream Italian left, we cannot ignore the reality in which it was forced to operate. Despite its distinctive history and efforts to strike out on a new path, its trajectory would be strikingly similar to that of other mainstream social democratic parties, whether of long-standing, like Labour under Blair or the German SPD, or of more recent vintage, like the French Socialists. The above summary provides a minimal context for understanding the challenges that faced the mainstream left in the Second Republic. A more extended discussion of the entire period would take us far from our present task. Suffice it to say, for our purposes, that the dynamic described above persisted for nearly 25 years, marked, as already noted, by center-right and center-left governments alternating in office, something taken for granted in other capitalist democracies, but unprecedented in Italy until 1996. Equally novel was the composition of the major parties that sat in parliament: by the first decade of the twenty-first century, those that could be traced back to the First Republic had changed dramatically, and the rest were completely new. What was not new were old patterns of unending squabbles and back-biting on both the left and right. Moreover, the erosion of old political labels produced an unprecedented number of politicians who switched affiliations once in parliament, a cynical, age-old practice known as trasformismo. Such rank opportunism obviously did nothing to increase the already-low esteem in which the political class was held. And some improvements are relative at best. Governments no longer fall every nine months, as they used to: they now last two years. But the Second Republic was supposed to put an end to the vices of the First, in particular to in-fighting in Rome over issues opaque to ordinary citizens. That it fell far short of this goal is a key reason that the Second Republic lost whatever good will it once enjoyed. To be sure, there were times when a ‘normal’ alternation took place: incumbents lose an election, and the opposition takes over (1994, 1996, 2001, 2006, 2008). But most recently (2013 and 2018), no clear winning majority emerged. Even more often, the prime minister has resigned for reasons that evoked memories of the First Republic (1995, 1998, 2000, 2008, 2011, 2014, 2016). Moreover, on three additional occasions (1993, 1995, 2011) generally at the instigation of the President of the Republic, independent ‘technocratic’ governments have been installed, in a caretaker role until new elections to avoid risking destabilizing the country (or unduly frightening markets). These ‘abnormal’ cabinet shuffles became increasingly frequent in the past decade, which, not coincidentally, has witnessed an intensification of anti-establishment political trends. This increasing instability and turnover mainly reflected the internal strife of the largest party on the left as it groped for a clear identity. As it morphed from the Party of the Democratic Left (PDS) to the Left Democrats (DS) to the plain and simple Democratic Party (PD), the main descendant of the PCI kept projecting a somewhat out-of-focus image, constantly evoking a ‘reformism’ that it never defined, even as it inexorably moved rightward. At times more social democratic in its leaders’ ambitions, and at other times a vaguer amalgam of ideas and traditions, the party stumbled along with the consequences for its organization and social influence that were noted above. But for all this, it nonetheless remained the unquestioned core of any plausible alternative to Berlusconi’s center-right coalition. The 2013 elections seemed to signal a turning point when the center-left blew a lead that had appeared insurmountable when the campaign opened. The M5S actually gained several thousand more votes than the PD, making it the single largest party in the country. However, the electoral law provided a bonus that guaranteed majority to the party or coalition that obtained the most votes for the Chamber of Deputies. Because the center-left met this criterion with just under 30% of the total, it obtained a majority of the seats.3 No such bonus existed for the smaller but equally powerful Senate, so the only way to avoid an immediate return to the polls was a heterogeneous ‘Grand Coalition’ that went from the PD to Berlusconi. Only when part of Forza Italia broke away did the PD and its allies finally gain clear majorities in both chambers. This is the context in which the meteoric rise of Matteo Renzi to the leadership of the PD and then the prime minister’s office took place. His native Florence, the capital of once deep-red Tuscany, was his political springboard. He came late to the PD when his group, descendants of the left wing of the Christian Democratic Party, merged with the Left Democrats to form the PD. He rose rapidly in electoral politics and in the organization of the Florentine party. His unbridled ambition and often ruthless tactics alienated many in the party establishment: he called for dumping the established leadership (using the term for junking an old car when acquiring a new model, rottamazione). He was also highly critical of the unions, which he blamed for clinging to outmoded ideas and defending protected workers while ignoring Italy’s extremely high levels of youth unemployment and underemployment. Renzi’s initial effort to lead the PD was thwarted in a primary to become the party’s prime ministerial candidate for the 2013 elections. Undeterred, he launched a second, successful, challenge, this time for the role of PD secretary late in 2013. The party’s turmoil is eloquently reflected in the fact that this made him the PD’s fifth leader in six years.4 He then wasted no time undermining his own party’s prime minister, and within two months had basically driven him from office. At 39, Renzi became the youngest prime minister in Italian history. Promising dramatic change, he hit the ground running, giving Italy its youngest-ever cabinet and most equitable gender balance. He also appointed women, for the first time, to head some of the country’s largest state-run conglomerates. Benefitting from the sense that there was indeed a fresh political wind blowing, a mere three months after taking office Renzi led the PD to an unprecedented 41% showing in the 2014 elections to the European Parliament. This was a full 15% more than its total a year earlier. Equally notable is that the M5S fell by 4%, while Forza Italia, suffering breakaways on both flanks, lost more than half its previous support. Given fresh options, Italian voters across the spectrum were clearly taking them. Renzi also adopted a more critical stance toward the EU than his predecessors, reflecting the negative impact of EU austerity policies and the increasingly explosive immigration/refugee crisis. Italy’s geography makes it particularly vulnerable to migratory flows, above all when land routes through Turkey are closed off (and the EU had paid the Turks to block their borders with Greece). At that point, the flow from North Africa, and especially Libya, grew enormously.5 The EU did try to ease pressure on Italy by appealing to European solidarity and assigning quotas of asylum seekers to member countries. But this was openly opposed by some and studiously ignored by most of the rest. The EU also tried to discourage Italy from its rescue missions at sea, arguing that these encouraged migrants to continue crossing the Mediterranean, an argument the government initially rejected, although it eventually tightened its policies in the course of 2017, dramatically reducing crossings from Libya. Given the center-left’s historic commitment to European integration, Renzi’s freedom to maneuver financially was severely constrained, not least because the European Central Bank (headed, as it happened, by an Italian, Mario Draghi) had actually cut Italy a good deal of slack, particularly compared to its treatment of Greece. In short, this was a liability about which he could do very little; it would cost the governing parties dearly. To a significant extent, the same is true with respect to the migration/refugee dilemma. While these problems largely fell outside Renzi’s control, he would also come to be vexed by dilemmas entirely of his own making. The first is his personality and leadership style, both inside the PD and in the government. Self-confident (and self-promoting) to an abrasive fault, he won considerable support within the party as he set about reshaping it in his own image. But he surrounded himself with loyalists as he openly scorned traditions and people he considered ready for the scrap heap. In the place of these old impediments to modernization, Renzi articulated an extremely fuzzy vision of a ‘Party of the Nation’. A personalized leadership style inevitably produces personal animosities, which is precisely what occurred. Playing on the Italian acronym for the Democratic Party (Pd), his critics began referring to the Party of Renzi (PdR). Renzi’s second self-inflicted problem goes by the revealing name ‘Jobs Act’, presented with an English title, and enacted late in 2014. This carried an earlier (2011) ‘flexicurity’ reform of the labour market much farther. Some measures in support of precarious workers were reasonable and long overdue. But pressure from the European Central Bank and the EU also pushed the Jobs Act in more neoliberal directions. This was most evident with respect to guarantees of job security, resented by management and fiercely defended by the unions. When the Jobs Act took aim at these protections and also relaxed restraints on employers’ ability to monitor their workers, bringing Italian legislation more in line with the rest of the major countries in the EU, it met ferocious opposition from the unions as well as what remained of the left wing of the PD. While some of its elements were unique to Italy, this legislation also bore numerous similarities to labour market reforms that had been carried out, or that would soon be carried out, in Germany, France, and Spain: Renzi openly invoked the German Hartz IV reforms as an inspiration.6 He insisted that a more open labour market would increase employment, especially among young people; create more open-ended (versus temporary) contracts; and ensure that more full-time permanent positions would be created. Over the next several years, to no one’s surprise save perhaps Renzi’s, none of these assurances were realized. For instance, predictably, employers leaped at the tax write-offs given to encourage short-term hirings, but then found ways to back out of their commitment to turn these into more permanent positions.7 And there was no discernible surge in employment, among young people or generally, that could be traced to the legislation’s impact. The third of Renzi’s self-inflicted problems cost him his position as prime minister. The immediate cause of his resignation was the rejection in December 2016, by popular referendum, of a number of modifications to the Italian constitution passed in April of that same year after a long, protracted parliamentary struggle.8Public opinion initially strongly supported the proposals, but a hotly contested campaign began to swing opinion; when Renzi then threatened to resign if the No vote prevailed, it became a referendum on him. This is clear from the fact that the proposed package of reforms was decisively defeated (59-41) even though polls showed that small majorities favored every one of the most controversial items in the package. Finally, keep in mind the context in which these debates took place: the most recent elections had seen Renzi and the PD rack up 41% of the vote. Renzi was thus the likely chief beneficiary of these changes in the immediate sense. But many opposed these changes on grounds that went well beyond personalities. They worried in principle about a system that might turn much more centralized power over to an extremist, or an untested demagogue, a not entirely implausible scenario given increasingly volatile election results. Why would Renzi take such a gamble? One reasonable explanation is that he mistook the 41% vote in the European elections as a personal vote of confidence that he could continue to draw upon, rather than understanding it as a powerful, but less personal, desire for change. In short, his overweening self-confidence, not to mention arrogance, finally caught up with him. A more generous interpretation, not entirely at odds with the above, is that Renzi believed so strongly in the proposed constitutional changes that he would put his job on the line, unaware of how unpopular he had become. Either way, the result showed that Renzi had dissipated his and his party’s political momentum. His behavior in the immediate aftermath of the referendum hardly suggests chastened self-examination. Although he resigned as prime minister, he held onto the role of party secretary, and continued to try to reinforce his own position and that of his supporters inside the organization. The result was an ever-more-toxic atmosphere that was only partly resolved when he finally gave up his position as secretary in the aftermath of the 2018 election. And while the PD turned in on itself in the sort of settling of accounts that often follows a defeat, the broader political environment, with its rising populist tide, continued to evolve. As for other political forces on the left, the 2018 elections provided scant comfort to those who hoped that the PD’s neoliberal reform of the labour market, along with its effort to produce a more executive-friendly constitution, would provide space for a more radical option to affirm itself. After all, even when Renzi’s PD scored an historic high 41% in the 2014 European elections, a coalition of several left groups running under the label ‘The Other Europe With Tsipras’ had gotten just over 4% of the vote, along with a handful of seats. The reasoning was that there surely was now more space to the left of the PD in 2018, given its record in office. 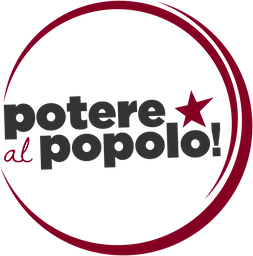 Finally, on the far left of the Italian political spectrum, there is Potere al Popolo (Power to the People), distinctive for the sheer number of different groups that make it up, ranging from those who still identify as communist (including what remains of the left wing of Rifondazione Comunista) down to myriad local left-wing organizations with no formal associational affiliation.10 Despite putting forward veteran leftist figures and several prominent cultural figures as candidates, and strongly identifying with Labour’s Jeremy Corbyn and Jean-Luc Mélenchon (leader of La France Insoumise), Potere al Popolo presents itself as speaking for Italy’s young people, particularly those who are poor, dispossessed and most vulnerable to Italy’s (and Europe’s) exploitative, repressive and discriminatory structures. It received 370,000 votes in 2018, or 1.1% – well below the minimum threshold to enter parliament. How can we explain such a weak showing by these left-wing groups? One fairly obvious explanation is that, however ‘objectively’ favourable conditions might have seemed for a militant left-wing appeal, it mattered a great deal who was voicing that appeal. Aside from presenting an extremely fragmented image, LeU and even Potere al Popolo, put forward many of the same old faces that had seemingly been populating the left forever. The hoped-for social and political dynamics that had produced Podemos in Spain, the Left Bloc in Portugal or Syriza in its more heady days in Greece, failed to materialize. And that brings us to another explanation for the terribly weak showing by all groups to the left of the PD: the frustration and outright rage against the status quo was channeled into a much more powerful populist protest, in the form of the Five Star Movement. Italy’s historical lack of a social democratic party made it distinctive in one way; more recently, it has gained another distinction, not for what it lacks, but for what it has in greater abundance than anywhere else in the west: significant populist movements and parties. ‘Populism’ is both a slippery and elastic term about which there is broad disagreement over important issues: Is it – necessarily – anti-pluralistic? Anti-democratic? Essentially authoritarian? A form of exclusionary identity politics? The list could go on. Here I will limit myself to a few generalizations agreed upon by most students of the phenomenon, with the understanding that I am not proposing some grand synthesis, but rather am simply drawing on the ideas and concepts I find most useful.11 Key among these are strong anti-establishment and anti-elitist appeals, and strong, often charismatic leaders. As the root of the term reveals, their dominant ‘frame’, to use current sociological terminology, is to speak in the name of ‘the people’. But ‘the people’ can be framed quite broadly, against elites, or distant institutions, or in exclusionary terms, against ‘The Other’, however defined. It is also the case that, whatever the claims, these movements (movement-organizations is more precise) tend to be characterized by one-way communication, as the leader speaks in the name of everyone. The above is not a check-list of what makes for an ideal-type populist movement. These are, rather, traits that, in various combinations and to various degrees, are found in such movements. Those familiar with the literature will notice some omissions on my part. For instance, I don’t view populist movements as necessarily anti-democratic, nor as always articulating exclusive truth claims, unless ‘truth’ is defined so broadly as to be meaningless. And while right-wing populism has drawn most recent attention, there are numerous historical as well as contemporary left-wing variants as well. With these points in mind, a quick survey of the Italian scene is in order. No one who has read this far should be wondering why Italy, of all countries, should stand out for the number and extent of populist political forces. The implosion of the First Republic’s party system, followed by the wheel-spinning of the Second’s, created the sort of political soil in which all sorts of new political formations could thrive, and this is exactly what happened. The Northern League initially claimed to embody European culture and values, in contrast to what it denounced as the lazy, welfare-dependent south, seen as more Mediterranean or, taking up a classically Italian form of bigotry, as ‘North African’. From a cluster of highly localistic organizations, it evolved into a separatist movement calling for the independence of an imaginary ‘Padania’, named for the Po River’s environs. From separatist, it became federalist as it evolved from opposition to participation in center-right governments. This evolution also witnessed a change from a free-market anti-tax stance to one of ‘welfare chauvinism’: welfare benefits (within reason) are fine, as long as they go to ‘people like us’, not outsiders. The League also grew increasingly hostile to the EU, ultimately calling for Italy to leave not only the Eurozone, but the Union. For the 2018 elections, the LN dropped ‘Northern’ from the name on its party list, presenting itself as a nationalistic bulwark against European encroachment, openly making common cause with the likes of the extreme-right French National Front and Dutch Party for Freedom. Over time, its’ always present law-and-order, ethnocentric, anti-Muslim, and overtly racist positions became increasingly pronounced. It now calls for the immediate expulsion of all undocumented immigrants, not distinguishing migrants from refugees. Its growth has hardly been smooth. Until 2018, its electoral support ranged from 4 to 10%, but leadership struggles in 2011, and a financial scandal in 2012, seemed to threaten its very survival.13 Even after changing leaders and adopting harder-line positions under its current leader, Matteo Salvini, its fortunes only improved modestly. It did, however, begin to improve its support in areas that bordered its northeastern strongholds, particularly as Berlusconi’s undisputed leadership of the center-right began to wane (see below). And its visibility and popularity was given a huge boost when, in 2017, it promoted (non-binding) referendums that demanded greater autonomy for Lombardy and the Veneto. Nonetheless, almost no one foresaw anything like the dramatic increase in the Lega’s vote to more than 17% in 2018. Forza Italia: ‘Populist’ is not the first, or even the second, thing that comes to mind when hearing the name of the billionaire media mogul and four-time prime minister who owes his control over Italy’s private TV networks to his First Republic political connections. Moreover, his political base grew out of anything but a grass-roots movement. It was grounded in his advertising empire, enabling him to penetrate every corner of the country when he launched the political organization he named after the cheer for the national soccer team.14 In 2018, Berlusconi presented himself as a bulwark on the center-right against irresponsible populists like the Five Star Movement and the League (his coalition partner), but suffered huge losses. But no understanding of the Italian political system in the last 25 years is possible without understanding how Berlusconi turned himself into this period’s dominant political figure by riding waves of popular discontent and turning them to his own benefit.15 As the center of the political spectrum disintegrated, he emerged as the one person who could counter the threat of a victory for the left. His understanding of mass media, not to mention his personal media empire, enabled him to use television to great effect, projecting directly into people’s homes the reassuring image of a confident, successful businessman who understood common folks’ concerns. Once in office, he gained control over the major public networks as well, guaranteeing constant and overwhelmingly positive coverage. His control over, and use of, mass media meant Berlusconi didn’t have to rely on mass rallies and other forms of overt mobilization. Instead, he could project a ‘soft’ populism. Not that this spared Italy heavy doses of demagoguery, including (literal) self-description as the country’s savior. He immodestly shared with the country that he felt ‘anointed by the Lord’. And while he would eventually have numerous refugees from the discredited parties of the First Republic surrounding him in office, his initial political forays stressed his own and his associates’ professionalism and extraneousness to established politics. These were hard-working businesspeople, far from the self-serving politicians who had brought the country to the brink of chaos, another classic populist theme. Berlusconi thus put forward a respectable, mainstream populism, a moderate alternative to the crudeness (and localism) of the League, while at the same time offering the reassurance of a break with the past. That less than six months after Berlusconi and his cronies cobbled it together Forza Italia garnered over 20% of the vote, making it the largest party in the first election of the Second Republic, testifies to the remarkable success of the project. These events, and those that followed, also underscore how Italian populism has displayed what astute observers have called ‘mutating populism’, a dynamic in which these movements interact with, and feed off, each other.16 The very fact that Berlusconi became the unquestioned power broker of the center-right in the Second Republic also meant that, willy-nilly, he was now part of an establishment that others could attack. For example, as his League coalition partners, not to mention the former neo-fascists, took ever-more-strident positions against immigrants, he responded by taking a more right-wing tack himself. The same occurred with respect to his partners’ growing nationalism and anti-European attitudes. But since he also wanted to represent the most mainstream voice on the center-right, his options were limited: in any event, he could hardly outflank the League and ex-neofascists on the right. Finally, although he had made so many comebacks that no one completely dismissed his chances in 2018, the results suggest that many voters had finally had enough of an 81-year-old who had been around for a quarter-century. Democratic or not, at the outset the M5S did resemble the new social movements far more than any political party. And in its early years, it could unambiguously be labeled a left-populist formation. It had a clear left-green profile, espousing an environmental, anti-globalist, progressive populism that also emphasized civil liberties.20 But a once-chummy relationship with the mainstream left soon cooled under constant attacks from Grillo, who had no time for any of the established parties. Still, progressive positions remained prominent and in some cases even expanded: the 2018 electoral program advocated an assault on poverty by providing a basic guaranteed income for job-seekers with certain ‘flexicurity’ provisions, as well as a minimum guaranteed pension to those below a poverty threshold. At the same time, the M5S also began to espouse right-wing positions, particularly regarding immigration and law-and-order. It is common for modern populist movements (often deceptively) to insist they are neither left nor right. In the case of the latter-day evolution of the M5S, there is something to the claim. To be sure, its more right-wing positions are softer than those of the League. While critical of Brussels, it calls for a re-thinking and restructuring of the Union, demanding that other countries meet their responsibilities, for example regarding the settlement of refugees. And while advocating the expulsion of undocumented migrants, it claims it would never send people back to places where their lives or rights would be endangered. It is also on record as supporting ius soli (granting citizenship to those born to legal immigrants on Italian soil), a position that the right militantly opposes. Yet, at the same time that his party was setting out these positions, Grillo also made a point of forging closer ties to the anti-EU and xenophobic British UKIP and French National Front. Five Star attitudes toward mainstream politics present fewer ambiguities. Political dilettantism is celebrated: the movement refuses the (significant) public funds granted to all parties, and elected officials must hand back that part of their salaries determined to be ‘excessive’. Parliamentarians elected under its banner ostentatiously refuse the ‘Honorable’ title that goes with their office. More concretely, their militant refusal to enter alliances or agree to parliamentary compromises produced the initial post-election standoff in 2013, which was only resolved when MPs from other parties switched sides, enabling the formation of the center-left government. In addition, the M5S’s inexperience has sometimes been painfully on display where it governs on a local level, most notably in Rome. Even a ‘normal’ party that expanded so quickly would experience dramatic growing pains, but the M5S is hardly a normal party. It is a rapidly institutionalizing movement-party that vaulted to prominence thanks to its uncompromising denunciation of a stalled status quo, in short, from a position of radical opposition. But in 2013, and then in local elections as well as those for the European Parliament, and especially as the 2018 election approached, the political landscape changed. The two parties that had been the linchpins of the Second Republic were in decline: Berlusconi’s Forza Italia in almost linear fashion and the Democrats after what first appeared to be a renaissance under Renzi. As frustration with politics-as-usual grew, so did the idea of the M5S as a plausible contender to lead a government. In fact, in the years leading to the 2018 election, aware of his own controversial and often vulgar public image, Grillo took several steps back from the limelight, assuming the role of ‘guarantor’.21 A YouTube channel was created to facilitate communication between members and elected officials. A five-member steering committee dubbed ‘The Directorate’ was set up, and the young vice-president of the Chamber of Deputies, Luigi Di Maio, increasingly became the fresh public face of the M5S. 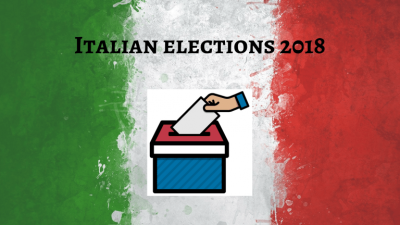 Throughout the 2018 campaign, Di Maio expressed the movement’s readiness to govern Italy, and as of this writing the thirty-one-year-old remains its candidate for prime minister. Aside from these developments in what had been something of a one-man show, the M5S also spelled out an ambitious program, two key features of which (the minimum pension and the ‘flexicurity’ income supplement) were mentioned above. Tax cuts and generous family benefits were also pledged; 50 billion euros would be found by cutting wasteful spending, while an equal amount would be invested in key strategic industries, and so on.22 As if these exorbitant promises, whose numbers appear to have been plucked out of thin air were not enough, the M5S has also promised to dramatically reduce Italy’s public debt from over 130% of GDP to under 100 in ten years. That this is less a program than sheer pie in the sky is obvious, but there is reason to believe that some of the more generous promises were instrumental in the huge increase in support the M5S enjoyed in the poverty-ridden south, culminating in the near-total sweep in the 2018 elections. This, in turn, makes one wonder how long that support will last without an effort to keep at least some of its generous promises, given the notoriously volatile southern electorate. But should these budget-busting expenditures actually take place, we can expect condemnation, and worse, on the part of the EU, with unforeseen, but quite likely devastating, consequences all around. All this assumes that the M5S actually enters a government. If it doesn’t, the only plausible scenario other than a quick return to new elections, with no guarantee of a different outcome, is a jury-rigged majority unlikely to undertake any serious problem without falling apart. Moreover, such explosive growth produces dilemmas of its own. As several observers have pointed out, the movement was well on the way to becoming a ‘catch-all’ party even before 2018, but the most recent election fully confirmed the trend. True to its original progressive profile, the M5S’s breakout in 2013 was strongest in the North and Center of the country, particularly the four regions that comprise Italy’s historic ‘red zones’. By 2018 it actually outpolled the Democrats there. Its voters broadly mirror the general electorate, with disproportionate support coming from younger and more highly educated voters.23 While the M5S initially underperformed in the south, its support there was already increasing before the near-clean sweep in 2018, when it polled well over 40% overall, almost hitting 50% in Sicily and Campania (where Naples is located). Keeping this impressive overall strength in mind, its support in the South was greatest where unemployment was highest. While the ‘catch-all’ designation usually refers to a party’s appeal across classes, the M5S’s increased support in the south between 2013 and 2018 suggests that the term could be applied to its attractiveness across political boundaries. Since Berlusconi’s center-right coalition got the most votes in the south in 2013, it obviously had more to lose in 2018. In the north-center, however, a different dynamic was at work. In fact, while the M5S continued to take votes away from the PD, it actually lost votes to the Lega, which also attracted former PD voters over the issues of law-and-order and immigration.24 The resurgent League’s success against the PD is hardly surprising since the Democrats were in government during the migrant crisis, which saw often demagogic alarms raised over the threat to law and order that the influx of foreigners represented. The League’s ability to siphon votes from the M5S suggests just how inflammatory these issues have become. Recall that Grillo (and Berlusconi) had espoused more right-leaning positions on these topics, whether out of conviction or simply in an effort not to cede the terrain entirely to the League. Whatever the motive, the results show that trying to compete with a far right organization on its own terrain is a losing proposition. FdI was certainly helped by this trend, more than doubling its vote between 2013 and 2018, from 2% to 4.4%. But it remains very much the junior partner in the center-right alliance, dwarfed by the Lega’s 17.4% and Forza Italia’s 14%. As the League has moved farther to the right, it has become difficult to draw many distinctions between it and FdI: both are often stridently anti-immigrant and anti-Muslim, sounding alarms about the breakdown of law and order caused by foreigners. Both are euroskeptical. True to its roots, FdI remain more statist and unapologetically welfarist. It is unlikely to participate in even a markedly right-wing government, but could well play the role of far-right external critic of any such government. In one sense, there is much that is unique in Italy’s experience when compared with that of other western capitalist countries, from the reasons the so-called Second Republic arose in the first place to its inglorious demise in less than a quarter-century. But when one compares broader trends, as opposed to specific institutional configurations (which often vary considerably from country to country), we see developments that are taking place elsewhere, in more extreme form. The only thing that appears certain is that the Democratic Party will not be undertaking any sort of profound self-examination in the foreseeable future. Moreover, even if it did so, one has to wonder what difference that would make. Born at the wrong time, increasingly composed of a patchwork of different histories and political cultures, devoid from the start of a clear vision, having lost or undercut its own social roots, and ultimately unified by nothing other than the sum of its component parts, how likely would it be, at this point, to find a path to salvation – assuming one existed? Nor is the outlook for the radical left much better. It would provide an ideal research site for a political archaeologist, if such a profession existed, for here one finds remnants of every militant organization that has ever existed on the Italian left, or so it seems. Parallel to these myriad forms, and sometimes interlaced with them, are the many grassroots and civic activities of which Italy has always had in abundance. Efforts such as those of Potere al Popolo show that there is a felt need to bring these forces together, but they also revealed the enormous challenge of doing anything with such a fragmented reality other than cobbling together an electoral list. Negotiations to form a government are continuing as this is written, with an outcome that is far from certain as all the major parties jockey for position. The existence of three distinct poles – the center-left, the Five-Star Movement, and the center-right – promises that any coalition will be tension-ridden. And as if that were not enough, the cohesion of the center-right, never very solid, has weakened in the wake of the election. Berlusconi is desperate to counter his own and his party’s weakened status. Salvini is doing everything possible to assert the League’s primacy within the alliance, and its entitlement to a dominant role in any governing coalition, despite the fact that the M5S is nearly twice as large as the League. Di Maio, for his part, appears hell-bent on taking office, completing the transition from inflexible opposition to governing party in record time – and worrying later about how to hold onto the party’s base, or deliver on its promises. As for the Democrats, they initially appeared committed to standing back, regrouping, and taking advantage of being in the opposition when a government led by the M5S would, in their calculation, inevitably prove unable to deliver on the unrealistic promises that helped it get elected. Others within the party pressed from the start for a more ‘realistic’ and ‘responsible’ approach, especially as the post-election stalemate continued. Exactly what this means is unclear, since anything more than external support of a short-lived caretaker government would likely prove suicidal for the PD in its present post-electoral disorientation. Yet given Italy’s time-honoured tradition of trasformismo, at the moment it is impossible to rule out any scenario, including a broad-based caretaker government to mark time until another election could be held. Yet given recent electoral trends, there is no guarantee – even with a tricked-out electoral system – that the result would be very different than the present tri-polar stalemate. Under the Second Republic, faced with a standoff, the major political actors were pragmatic enough – and power-hungry enough – to cobble together arrangements that stumbled along without accomplishing a great deal, but that did manage to avoid catastrophes. If, as appears likely, the Second Republic is truly dead and buried, Italy will no longer have even such modest assurances to fall back upon. Steve Hellman is Professor Emeritus at York University and author of Italian Communism in Transition , among others. 1. There has never been a formal constitutional change like that of the Fourth to the Fifth French Republic in 1958. Nevertheless, the terminology was immediately and widely adopted, and I use it here as well: the (informal) First Republic is most commonly seen as ending with the 1994 elections. 2. There already existed a Socialist Party, which, from the 1980s on, had been in fierce competition with the PCI; there was a much smaller Social Democratic Party as well. Nor did the former Communists want to deter progressive Catholics, from within the (disintegrating) Christian Democrats by evoking a political tradition alien to them. 4. Fabio Bordignon, “Matteo Renzi: A ‘Leftist Berlusconi’ for the Italian Democratic Party?” South European Society and Politics Vol. 19 No. 1 (2014), p. 1. 5. The Italians and EU once had an agreement with Muammar Gaddafi, also paying to stop unauthorized migration, but this ended with his ouster and Libya’s de facto disintegration. 6. For an overview, see Georg Picot, “Italy’s Jobs Act in comparative perspective,” EuVisions ,28 April 2017. 7. Valentina Conte, “Jobs Act, scomparsi metà dei contratti scontati,” La Repubblica , 17 March 2018 p. 9. 8. Here I draw on Martin Bull, “Renzi Removed: The 2016 Italian Constitutional Referendum and its Outcome,” in Alessandro Chiaromonte and Alex Wilson, eds., Italian Politics: The Great Reform That Never Was (London: Berghan, 2017), pp. 131-153. 9. See liberieuguali.it for the party’s home page. There is actually more information on its positions on specific issues on its Facebook page. 10. The party’s web site lists 87 different organizations that signed onto its electoral manifesto, although this includes ten different local branches of Rifondazione Comunista. See: PDF. 11. In addition to specific arguments I will cite in what follows, some of the writing on the topic that I have found most useful includes Cas Mudde, “The Populist Zeitgeist,” Government and Opposition , 39 (Autumn, 2004): 541-63; Daniele Albertazzi and Duncan McDonnell, eds., Twenty-First Century Populism: The Spectre of European Democracy (London: Palgrave MacMillan, 2008); Cas Mudde and Cristóbal Rovira Kaltwasser, “Exclusionary vs. Inclusionary Populism: Comparing Contemporary Europe and Latin America,” Government and Opposition 48 (Spring 2013): 147-174; Jan-Werner Muller, What Is Populism? (Philadelphia: University of Pennsylvania Press, 2016). 12. In the absence of a more complete analysis, a synthesis of the shifting votes in 2018 can be found in Istituto Cattaneo, “Elezioni Politiche 2018: le prime analisi sui flussi di voto.” For a vivid visual representation of the League’s expansion between elections, see La Republica , 12 March 2018, p. 10. 13. Anna Cento Bull, “Quando la magia svanisce: Bossi perde la leadership, la Lega perde attrattiva,” Aldo Di Virgilio and Claudio M. Radaelli, eds., Politica in Italia: I fatti dell’anno e le interpretazioni (Bologna: Il Mulino, 2013), pp. 101-117. 14. For a very good history and detailed analysis of the first decade of Forza Italia, see Emanuela Poli, Forza Italia. Struttura, leadership e radicamento territoriale (Bologna: Il Mulino, 2001). 15. Useful in showing the populist themes in Berlusconi’s rise is Marco Tarchi, L’Italia populista . (Bologna: Il Mulino 2003), especially Chapter VII. On the media-based populism he employed, see Roberto Biorcio, “The Lega Nord and the Italian Media System,” in Gianpietro Mazzoleni et al., eds., The Media and Neo-Populism: A Contemporary Comparative Analysis (Westport CT and London: Praeger, 2003), pp. 71-94. 16. Bertjan Verbeek and Andrej Zaslove, “Italy: a case of mutating populism?” Democratization , 23: 2 (2016): 304–323. 17. There were two more prosaic references as well: V for Victory à la Winston Churchill, and a rather obscure reference to the graphic novel V for Vendetta. 18. Elisabetta Gualmini, “Introduzione. Da movimento a partito,” in Piergiorgio Corbetta and Gualmini, eds., Il partito di Grillo (Bologna: Il Mulino, 2013), pp. 7-2. In the same volume, for more on the formation of the movement see Rinaldo Vignati, “Beppe Grillo: dalla Tv ai Palasport, dal blog al Movimento,” pp. 29-63. 19. The five stars in the title refer to the five foundational values: accessible water for all, support of the environment, sustainable transport, and sustainable development, and the right to internet connectivity. 20. For a definition of the M5S as “left-libertarian populist” see Verbeek and Zaslove, p. 307. 21. 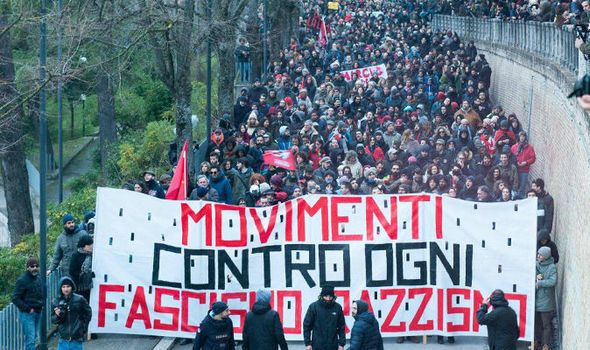 For more on the events recounted here, see Luigi Ceccarini and Fabio Bordignon, “The five stars continue to shine: the consolidation of Grillo’s ‘movement party’ in Italy,” Contemporary Italian Politics Vol. 8 No. 2 (2016): pp. 131-159. 22. The 20 key points of the Cinque Stelle electoral program can be found at: www.movimento5stelle.it. 23. Ceccarini and Bordignon, pp. 141-142. 24. Analyses of the parties’ votes, as well as the movement of votes among them, can be found at www.cattaneo.org; and two. See p. 4 of the latter for the discussion of the Lega’s inroads into the PD vote. 25. Chiara Baldi articles in R.it drawing on press articles and other sources, from 2014 to the beginning of 2018; and Elisabetta Povoledo, “Rise of Mussolini’s Heirs Across Italy Fuels a Countermovement,” New York Times , Feb. 25, 2018, p. A8. 26. Gerassimos Moschonas, In the Name of Social Democracy: The Great Transformation 1945 to the Present (London: Verso, 2002), passim, but esp. Chapters 7 and 8. 27. For both a general discussion and specific cases, among many, see Tim Bale, et al. “If You Can’t Beat Them, Join Them? Explaining Social Democratic Responses to the Challenge from the Populist Radical Right in Western Europe,” Political Studies , 58 (October 2010): 410-426; also Sofía A. Pérez, “Immigration and the European Left,” in James Cronin et al., eds., What’s Left of the Left (Durham: Duke University Press, 2011), pp. 265-289.